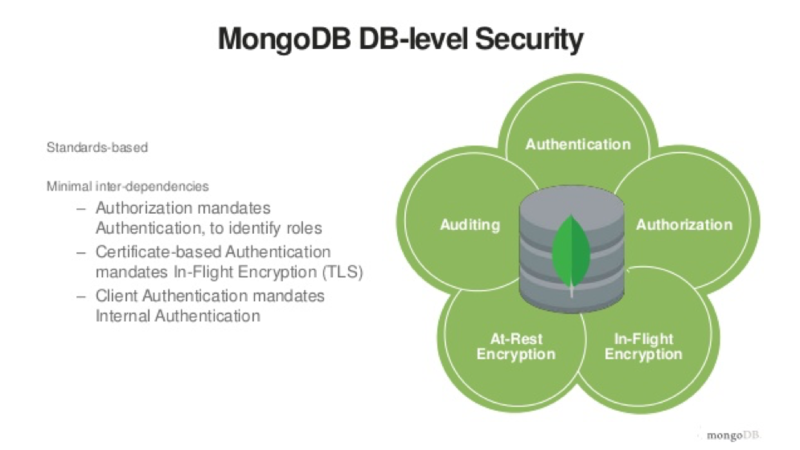 Maintaining security with MongoDB applications is crucial for database applications. You need to be able to identify the loop holes and know the types and methods of database or application security to protect the database from threats. Adhering strictly to the Security Technical Implementation Guide (STIG) helps to secure MongoDB to a great extent. Auditing from time to time also helps to identify key flaws in the system or database so that you can protect the system or database from various threats. This blog covers ten tips for securing MongoDB to keep it safe and secure. 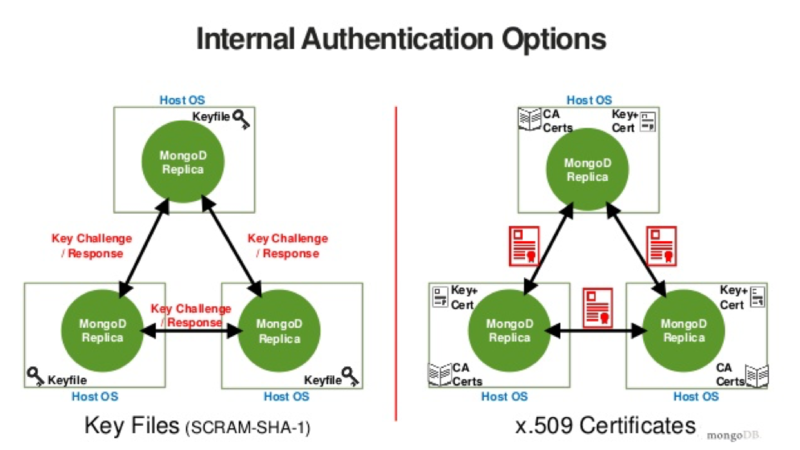 Enabling authentication is a good practise and the simplest way to secure MongoDB. Remember, sometimes the simplest security feature that is enabled can safeguard the system to its maximum extent and thus save the organization from a data breach that might cost millions of dollars. This tip is just common sense. In most cases, the most basic, simple password used for any application or database is 12345 or ABC123. However, these simple passwords are the weapon of choice to crack the system and steal the valuable data. Because MongoDB doesn’t offer any lockout option for passwords, it is easy for hackers to try the simplest passwords to crack the database or application in minutes to get into it. MongoDB does not enable access control by default. You can enable authorization by using the keyword --auth when you initialize the MongoDB shell. Not everyone should administer the database. Even if the database has authentication enabled, don’t give administrative rights to everyone. Instead, as a best practice, always create some roles to authorize users. Setting up certain user roles reduces the complexity for each user and greatly reduces the risk of an account breach that causes disaster later. Enabling a replication keyfile automatically enables authentication in MongoDB. With this feature enabled, only hosts with this file installed are able to join the replica set. An enabled replication keyfile also ensures data encryption in MongoDB, which provides an extra layer of protection. You can generate a keyfile by using any method that you choose, copy the keyfile to the replica set members, and then start the replica set with the access control enabled. Never use any default ports to connect to your MongoDB instances. Most of the time, hackers scan only default or standard port numbers before they attack. Some of the default ports that MongoDB uses are 27017, 27018, 27019, 2700X, and so on. It is easy to change the default port numbers in mongod.conf. Always ensure you have the latest copy of data to ensure that your operations log (oplog) is ready for a point-in-time (PIT) recovery from the moment an attack occurred. Be ready with a fool-proof disaster recovery set up for any kind of attack. Review your application to see if it needs any external account access to the database. If any such accounts are in place, set them to use authentication and encryption. You can even disable the public access by binding the host Internet Protocol (IP) addresses in mongod.conf. Firewalls provide an extra layer of security to filter and control the access to a system over the network. On MongoDB servers, enable firewall rules on hosts or security groups in cloud hosting. Always ensure that you only give access to mongod instances to trusted sources. Obstruct IP addresses or port ranges for servers to make cloud hosting more secure. Use VPN to provide certified access to your database system for various levels of encryption, multiple levels of authentication, and authorization for all the clients. Audit the database or host system regularly to see if there is any breach or if any user account has granted elevated privileges, other than the required ones, based on their roles and privileges. If elevated privileges were given for testing purposes, make sure to revoke them to resecure the system. You or your team should test the database system for security issues by using penetration testing or SQL injection to see if they exploit the system. Make sure that nothing is exposed from the outside world to your database. You can use many tools for that testing, such as nmap, telnet, and so on. This blog helps you to configure some basic security practices for daily MongoDB administration. Use these tips and the tools described to secure your MongoDB database applications. You can also use the MongoDB Monitoring Service (MMS) to monitor and configure most of the security-related features instead of using the mongo shell. Learn more about our certified database administrators and database services.